Year of Establishment 2006, we, “Sanghvi Electronics”, are prominently ranked amongst the topmost Trader, Exporter, and Importer of an all-encompassing assortment of Electronic Components. 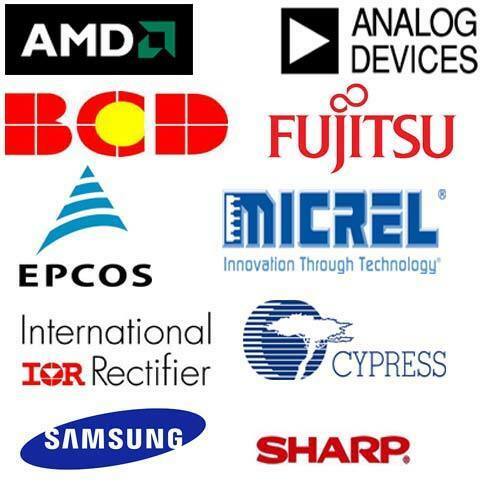 Our product range includes Electrical Diode, Integrated Circuit, and Electronic Sensors. All these products are designed and manufactured using the optimum-grade components & other required raw material and the most advanced technology by our reliable vendors in complete compliance with the set universally accepted standards. The offered range is stringently examined upon various parameters by quality controllers using latest testing tools and equipment to ensure flawless deliveries to user's end. Our product range is highly appreciated by our clients for their incomparable features like industry approved the design, optimum performance, trouble-free functionality, reliability and enhanced service life. In addition to this, the offered range is available in a different configuration and technical specifications at reasonable prices. Being a quality-oriented organization, our main motto is to satisfy our clients by providing them supreme quality products in the stipulated time frame. We are a client-centric organization and always focus to acquire the optimum clients’ satisfaction. With the aid of our authentic vendors and the team of professionals, we have been able to supply the offered range to our clients in various specifications and configurations as per their specific demands. Our easy payment modes, transparent dealings, client-centric approach, leading market price range and ethical business practices have enabled us to achieve a stupendous success and a wide clientele all across the globe. We import our products from all over the world. Under the dynamic leadership of our Proprietor, “Mr. Amit Sanghvi”, we have acquired a remarkable position in the industry. His constant levels of focus and promise have enabled us to gain such a huge client base all across the globe. To be the value-added distributor of choice for our customers and suppliers at all times. To be a total value & solution provider; enabling our customers the shortest time-to-market deliverable to their end customers, through our wide range of value-added services. For catering to the bulk demands of our valuable customers in the most efficient manner, we have made strong associations with some of the trusted vendors of the industry. Based on their credibility and reputation, the vendors are appointed by our procurement agents. They are known for making use of latest machinery and quality assured materials for manufacturing the offered range of products. We have been able to manage the bulk demands in the most efficient manner, owing to our rich vendor’s base and well-equipped warehousing unit. Supported by a team of skilled procurement agents, quality controllers, sales & marketing executives, warehousing & packaging experts and other supporting staff, we have been able to cater to the precise needs of our valuable customers in the most efficient manner. To enhance their skills in the most efficient manner, our professionals are trained with seminars and workshops, at regular intervals of time. Our management appoints our professionals based on their skills, experience and knowledge. With the aid of our large vendor base, capacious warehousing unit and skilled warehousing executives, we have been able to take and manage the bulk demands in the most efficient manner. Rigorous quality assurance procedures ensure that the premium quality of the offered range is never compromised at our end. Standardized packaging solutions avoids any damage while transportation. Hassle-free modes of payment such as cash, online and demand draft, are offered, keeping the ease of our valuable customers in mind.